Bridge24 provides an alternate way to dynamically display Asana tasks from a powerful grid interface and other views such as calendar and board. You can save custom views, and export them to CSV for easy access and reporting. Visit Bridge24.com and sign up for an account. Navigate to Manage Connections and click on the Asana connect button. 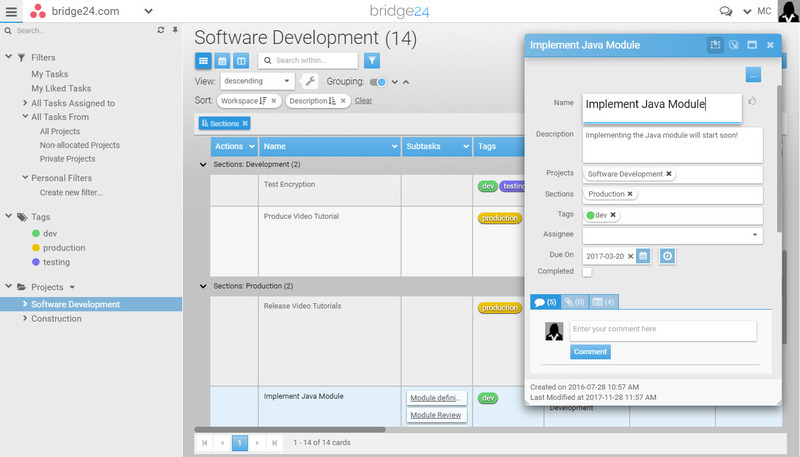 Authorize for Bridge24 to connect with Asana. For more information, visit the Bridge24 blog or contact Bridge24 support.